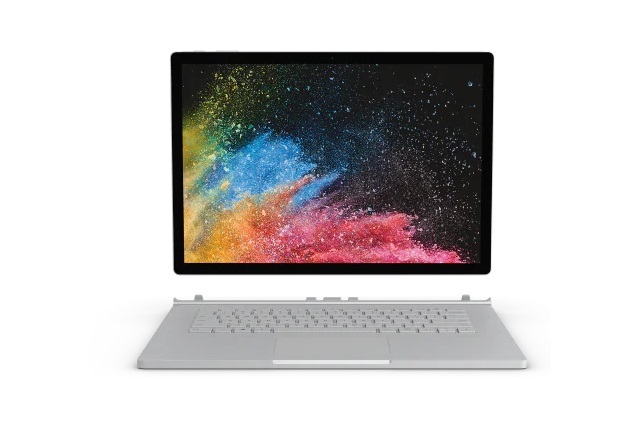 With precisely zero fanfare, Microsoft has added a new mid-range Surface Book 2 to the existing line-up. Priced at $1,499, the 13.5-inch model is now available with the new i5-8350U processor. The addition of an 8th generation Intel quad-core Core i5 processor was something we'd heard rumoured, and this new model not only opens up the range of options available to buyers, it also means that other prices have been reduced. The new addition to the 13.5-inch range also features 256GB of PCIe SSD storage and 8GB of RAM. The updated processor includes 6MB cache, and boasts clock speeds of between 1.7 and 3.6 GHz -- something which should give a decent boost to performance. Adding a new quad-core model sees Microsoft cutting the price of the dual-core 7th Gen model which was previously sold at this price. This model is now available for the lower price of $1,299. You can customize and buy your Surface Book 2 on the Microsoft website.